You are here: Home / News / Member / The Windshield or the Rear View Mirror? The Windshield or the Rear View Mirror? 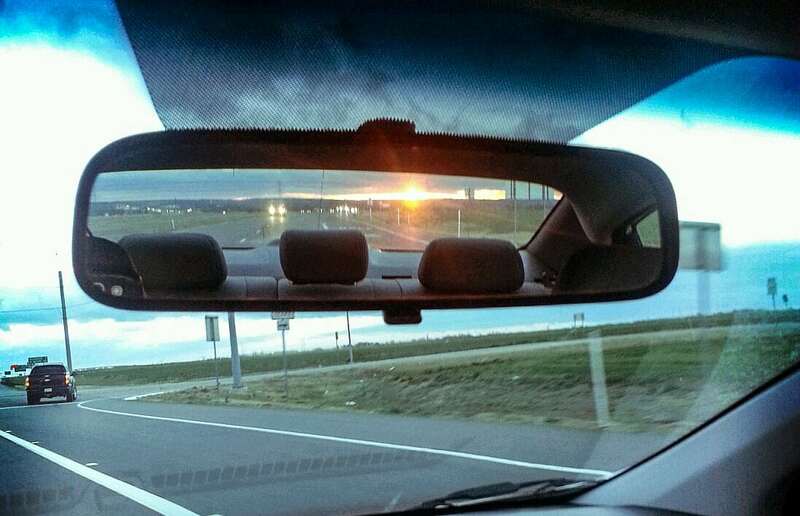 When you’re driving down the road, do you spend more time looking out your windshield or your rear view mirror? Well, if you’re doing it right –the windshield receives far more attention than the mirror. It’s good to glance at where you’ve been, but far more important to see what lies ahead. It’s important for any company to plan for the future, but it is extremely important for a utility that provides an essential service for a community. The decisions you make have lasting impact to the communities we serve. If we spend too much time resting on the laurels of past victories, we fail too see the needs of the future. “America and Americans, if they are going to continue to provide the leadership for the free world, must constantly look to the future. So in our society today we serve no really useful purpose by keeping alive differences and divisions of yesteryear. We don’t need to cling to the issues of the past. We do need to take hold of the issues of the future. Now what does this mean to the rural electrification program, of which you are a part and which has filled a very vital role in the strengthening of this Nation and in the development of this Nation? “So what do you need to do? You need to look far into the future–beyond 1965 or 1966 or 1970. And you really can’t look far into the future, and you really cannot provide the leadership that you ought to provide, and you really cannot be a doer if you just ask yourself constantly, “What will I get out of this?” and “How does it serve me?” You have got to be selfless. Those words are as true today as they were in 1965. Electrifying a nation is an impressive accomplishment. No one recognized that, or was more involved with it, than President Johnson. Yet he saw the need for turning the focus to the future. Challenges remain for our rural communities and we have to be the leaders that meet those challenges. https://www.tnelectric.org/wp-content/uploads/2016/08/rearview.jpg 635 985 Trent Scott https://www.tnelectric.org/wp-content/uploads/2017/07/TECA-logo-full.png Trent Scott2016-08-11 18:09:482016-08-11 18:10:58The Windshield or the Rear View Mirror?